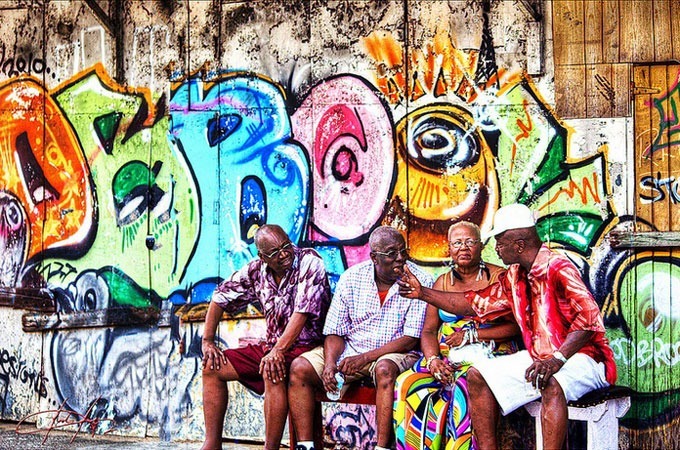 Get ready to know a completely different culture and the friendliest people around the Caribbean in two beautiful islands full of mountains, beaches, reggae music and Rastafaris. With a population descended from African slaves and Indian workers, the country only achieved independence from the Britsh in 1962. Being separated from Venezuela by a few kilometers, one has more the feeling of being in Jamaica than anything else. In Tobago, the songs of Bob Marley can be heard blaring through the streets and people live a leisurely philosophy of “Peace and Love”. 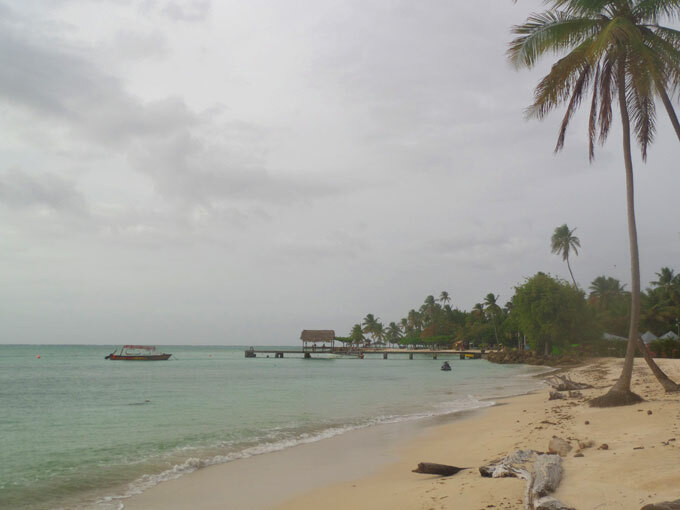 Check out the Travelsauro Guide to the Caribbean islands on a budget. Backpacking in Trinidad and Tobago. Nothing remains here of the flavor of the first Spanish settlers. The town is an important port of oil activity with some British influence. Forget the image of Caribbean white sand beaches. This is pure chaos, traffic (both cars and drugs) and pollution. However, it’s the best place to meet incredible Rastafarians characters, and visit local markets and bars where the beer flows constantly. Carnival here is really famous too. The road from Port of Spain to Maracas Bay and Las Cuevas is simply spectacular. Just for the ride (one hour by bus), its worth going north. 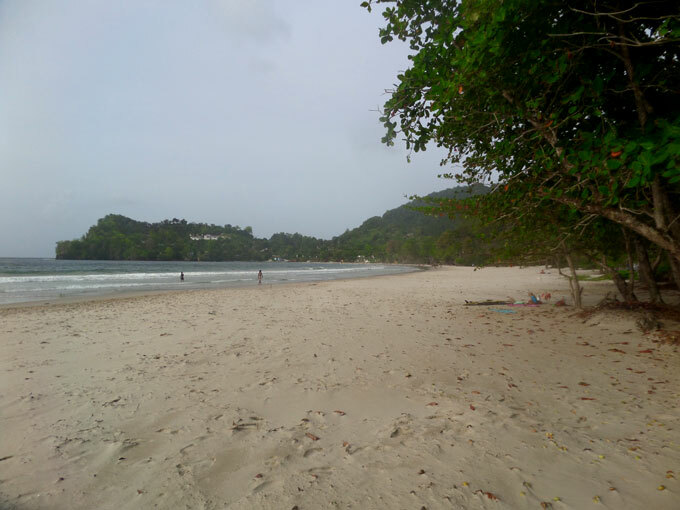 Maracas Bay is a beautiful beach that gets crowded on weekends. Here you can eat the classic shark sandwich. 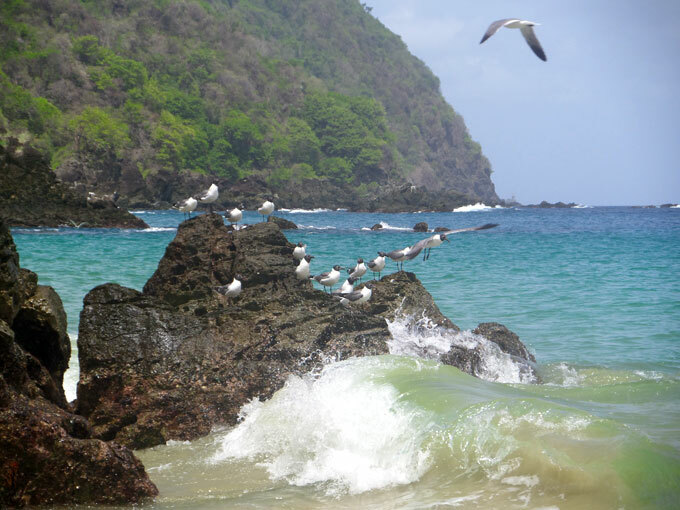 A little further you get to Las Cuevas, much more quiet and with equally beautiful surroundings. They are the largest turtles in the world and come to nest on the coast of Trinidad every year between March and August. 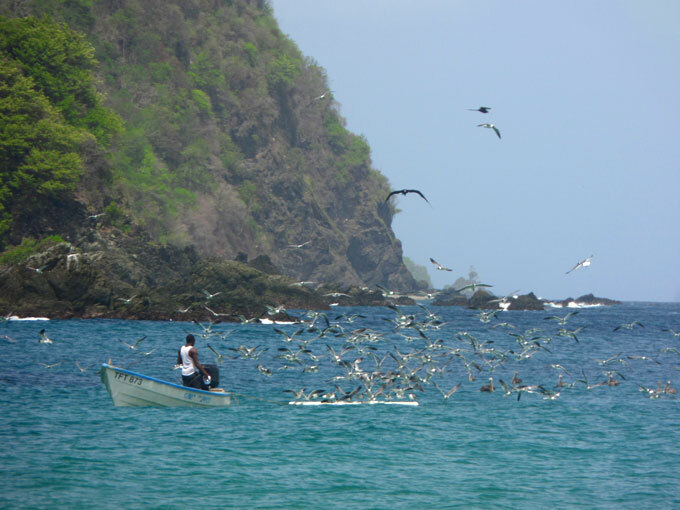 Blanchisseusse is one of the best places to find them. At night, adult mums come to nest on the beach while in the morning it’s easy to see some newborns running towards the sea. This is the most famous beach in the country and one of the few that has white sand and turquoise waters. Moreover, you pay 20 TT to enter and everything is done in a very commercial way, with shops, bars, etc. Not my favorite beach, but it’s certainly very nice. Every Sunday, from 21.00p.m, there is a lively party in the small village of Buccoo. There are several bands playing the famous Caribbean music of Trinidad and Tobago with “Steel Pans” (a kind of xylophone formed from shaped pans), local food stalls and bars with beer and rum punch. Although a bit touristy it is a fun night to meet locals and dance Soca and Reggae. This is by far my favorite beach. The village of Castara is quite small and the people are just amazing. We were camping on the beach and we felt at home. People came everyday to ask how we were, chatted with us and brought us some mangoes. The beach itself is very nice and a good place to see local life. 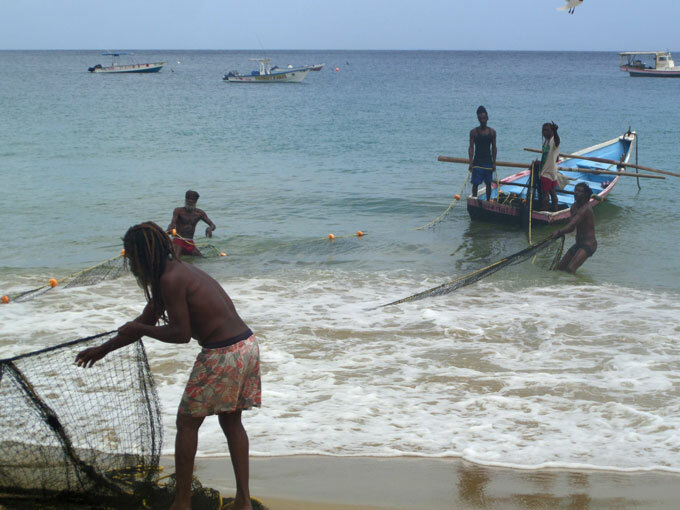 The fishermen get up early to go fishing with their boats and row back later with full nets of sardines while some Rastafarians spend the whole day in the shade, with a magical cigar in hand and a smile on their face. This is a very nice, quiet village to rest in for a few days. The beach is wide with beautiful walks nearby and the people are friendly. 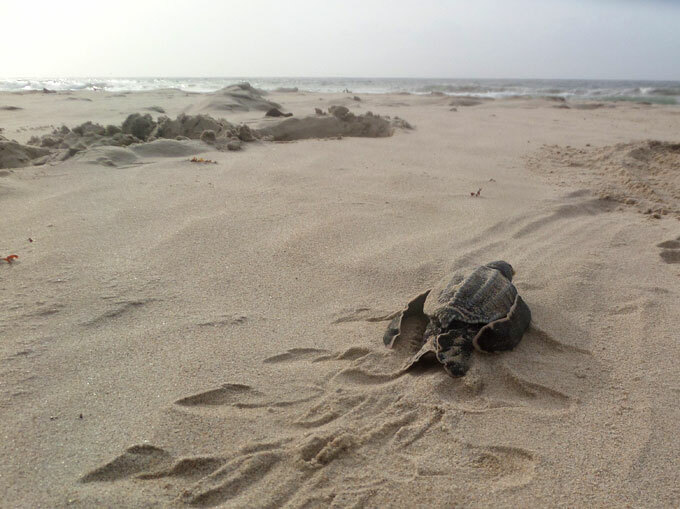 Here many turtles also come at night and there’s no problem with camping on the beach. All the Caribbean islands are incredibly expensive. We managed to spend only $500 a month in Trinidad and Tobago. This averages out to around $17/ day however we Couchsurfed in Port of Spain and camped almost every day in Blanchisseusse, Castara and Charlotteville. I loved this place in Buccoo: Fish Tobago Guest House. 300 TT night for a whole apartment. There is a boat from Guiria in Venezuela to San Fernando in Trinidad. It’s operated by a Venezuelan agency and it’s not taken overly seriously; confirm schedules and price because not everyone pays the same. 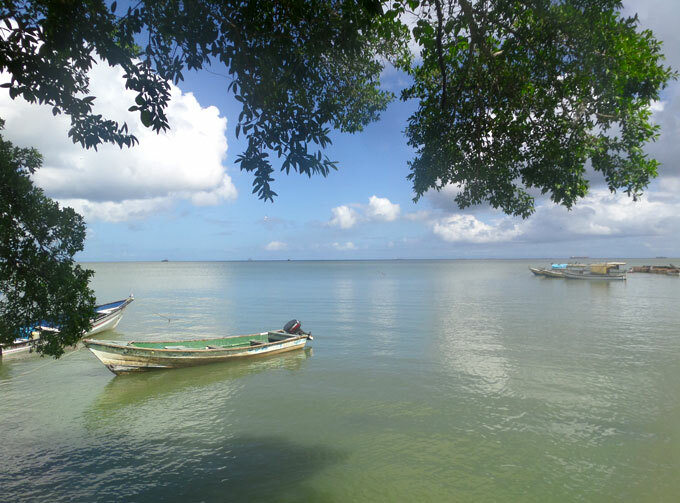 Maxi Port Spain – Blanchisseusse. 18 TT. You take it from the corner of Prince Street and George Street. 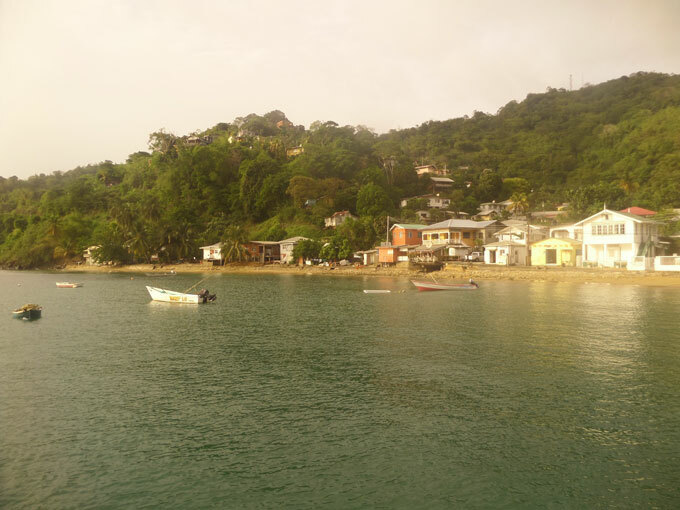 Maxi Port Spain – Maracas. 9 TT. Also leaving from the corner of Prince and George, as above. Bus Port Spain – Blanchisseusse. 8 TT. In the terminal. Flight Port Spain – Grenada. 100 euros. Conviasa flies on Sundays. The food of Trinidad and Tobago is quite influenced by India. Strong spices and sauces are used. Doubles. 4 or 5 TT. It is a pancake type bread with lentil puree and spicy sauce. It is probably the country’s most famous snack. The Jamaica chicken comes out for 40 TT in Sabanna park. It’s fried chicken with a spicy sauce served with chips. The roti is a classic meal that can be found in many places. 20 TT. It is a pita bread filled with potatoes, vegetables or chicken and a spicy sauce. The best one is found in Scarborough, in front of the ferry terminal, the place is called Sam’s and the vegetable roti only costs 15 TT. Note that the hurricane season runs from July to October. The rains are not as strong and you can travel the country, even if you get wet a little bit. We traveled during this season and the rains were ok. It’s much more difficult to find sailboats that give you a lift from one island to another, but it is the best time to see turtles. 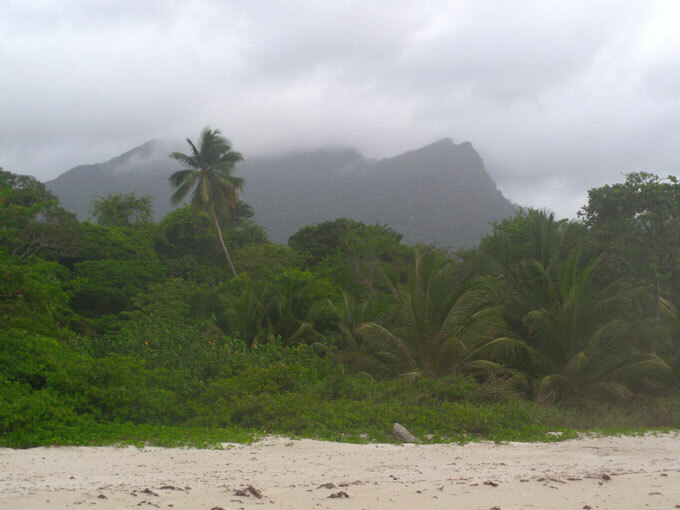 It is possible to camp on many beaches in Trinidad and Tobago. Even though many are quiet, always ask before you pitch your tent as some can be quite dangerous. It shouldn’t be difficult to get a sailboat lift from one island to another or straight to Grenada. However, keep in mind that during the hurricane season most of the boats go south, so it can be difficult to get one going north as happened to us. In Trinidad and Tobago, the place to get a sailboat is Chaguaramas, where there are up to 5 marinas one after another. If you’re traveling from one island to another in hurricane season, I recommend you start from the north, so it will be easy to find sailboats going south. Even though some people will say that it’s dangerous, it’s perfectly possible to travel by hitchhiking the two islands. The only place where I wouldn’t do it is near Port of Spain. The rest I found to be safe and easy. Especially in Tobago, where we never waited more than 15 minutes before someone gave us a lift. If your idea is to go from Trinidad to Venezuela, be sure to bring enough dollars, then change them on the black market and become rich in Venezuela. I highly recommend that you get a good insurance policy before you visit Trinidad and Tobago. Trusted by thousand of adventurers, World Nomads is one of the best and more reliable options (without breaking your bank). Do you have any questin about Backpacking in Trinidad and Tobago? Leave a comment! Hey! Great read! I am planning to go to T&T during carnival next year! I’m finding it difficult.to find affordable accomadation (I know there will be a hike in price but still looking for reasonable prices). Can you recommend what I can do? I know as small islands it is a case of rocking up and asking guesthouses but I can’t risk that during carnival. Any recommendations would be wonderful! Hi, yes, it’s not a cheap destination.. and i guess it will be quite expensive during the carnival… I recommend that you check out couchsurfing, there is a big community in T&T and it might be a great experience! Thank you for this helpful write up. Would you be able to comment on safety for solo women backpacking in T&T, Haiti and other nearby islands? Hi there, all the Lesser Antilles are pretty safe in general.. In Trinidad you should avoid Port of Spain at night. The city is not that safe. Besides that, you shouldn’t have any problem when taking local transports, going to the beach, etc. I don’t know about Haiti, never been there. Sorry. My Wife is originally from Trinidad & Tobago and has also told me that Port of Spain is not that safe. She also tells me that eating Shark & Bake (shark sandwich) at Maracas Beach is a must do in Trinidad. Glad you mention that in your tips. And good call on promoting Stag beer. I haven’t tried that yet, but my Father-in-Law says that is the primary beer of choice for Trinidadians even though Caribe is by far more commercially well known to visitors. Hi Ray! I’m glad you liked the article! Yes, Stag beer is a good one! Hey.. First congratulation for this guide, there isnt much guides for the caribeans and people who want to explore it have hard troubles to find something.